Hey Kids Fashion Enthusiasts! 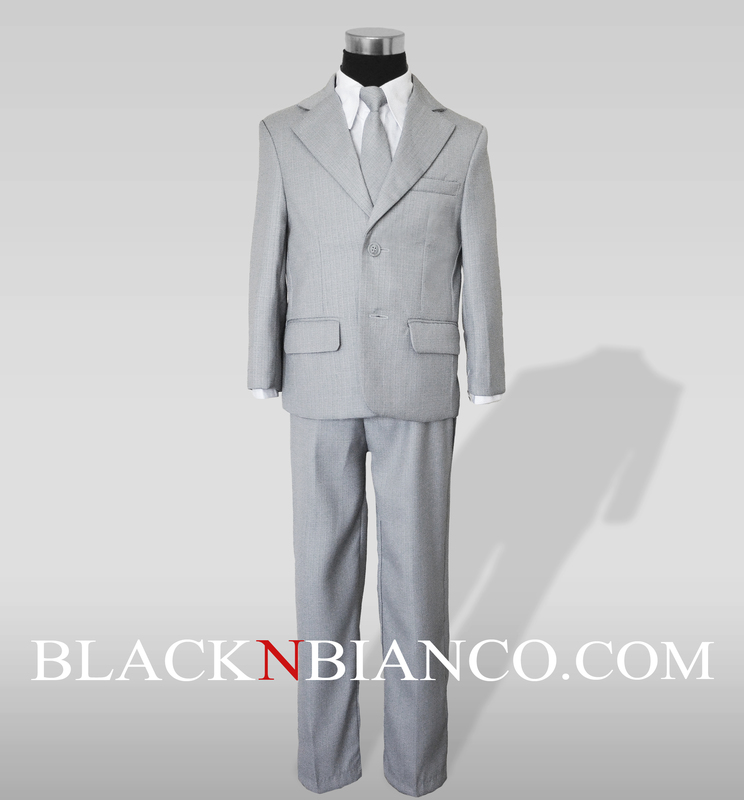 Our Boys Light Gray Suit Outfit is here! 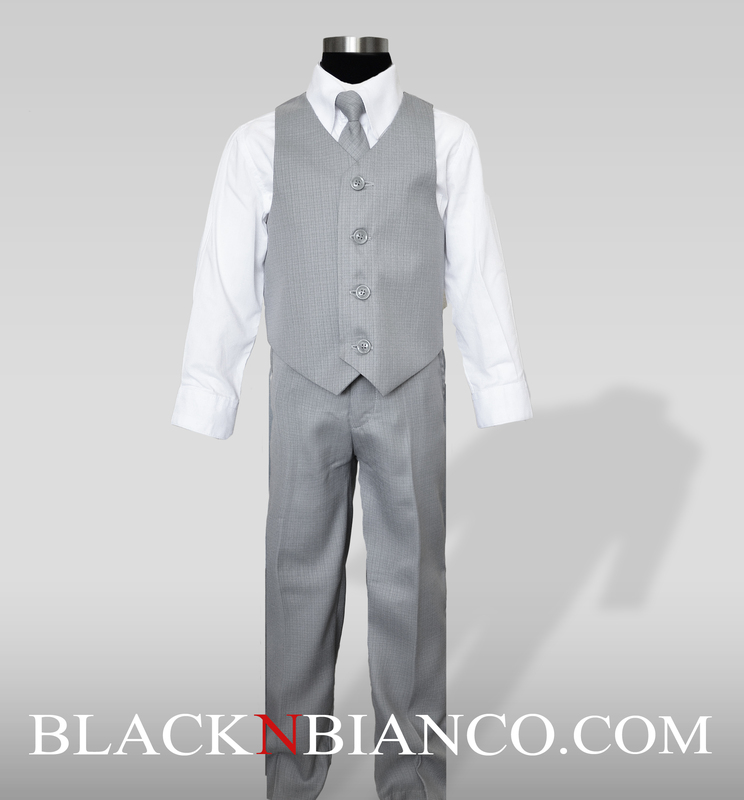 This boys light gray suit comes with everything you need to complete this adorable look. 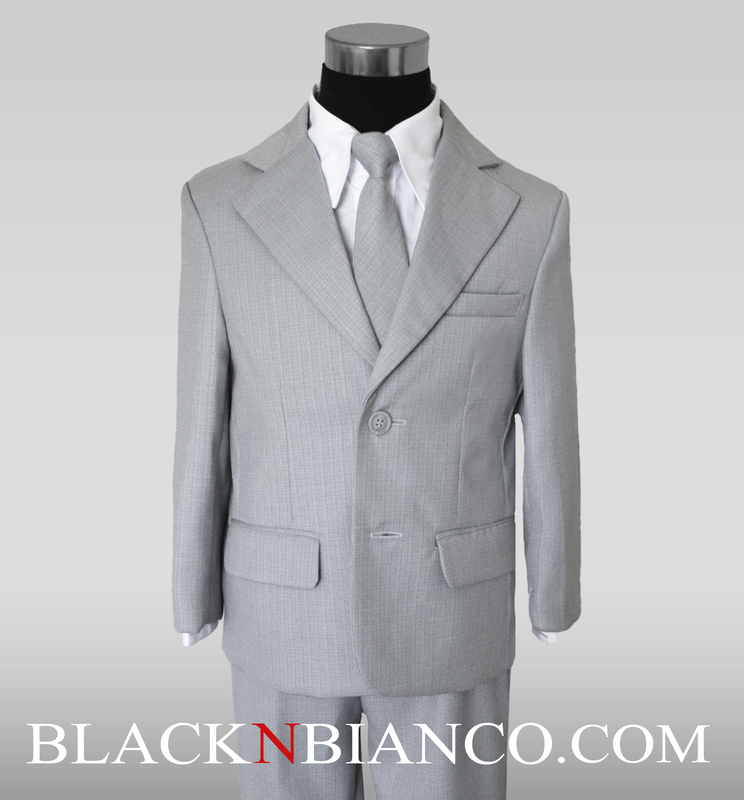 I know brides and grooms will want to use this boys suit as their ring bearer. It’s just too cute to have a mini replica of the groom walk down the aisle along with the flower girl! It’s perfect for rustic or light gray themed weddings. 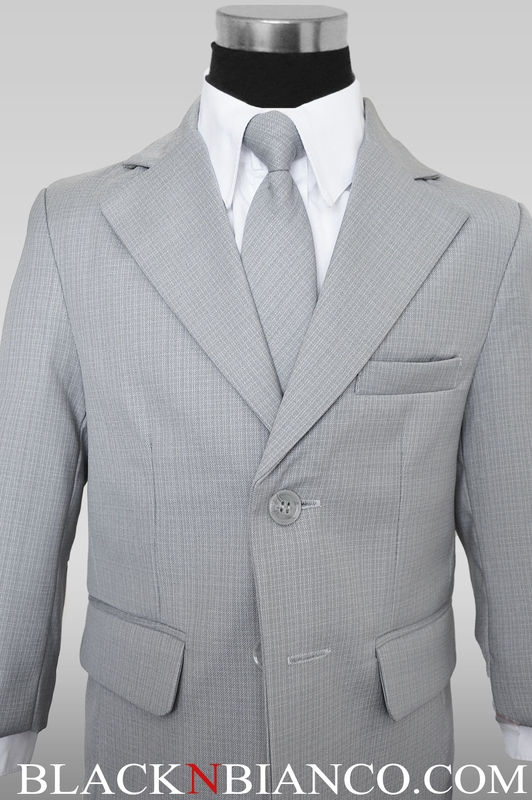 Don’t worry this suit is not going to break the bank! Smaller sizes are only $49.99 and the larger one $59.99! 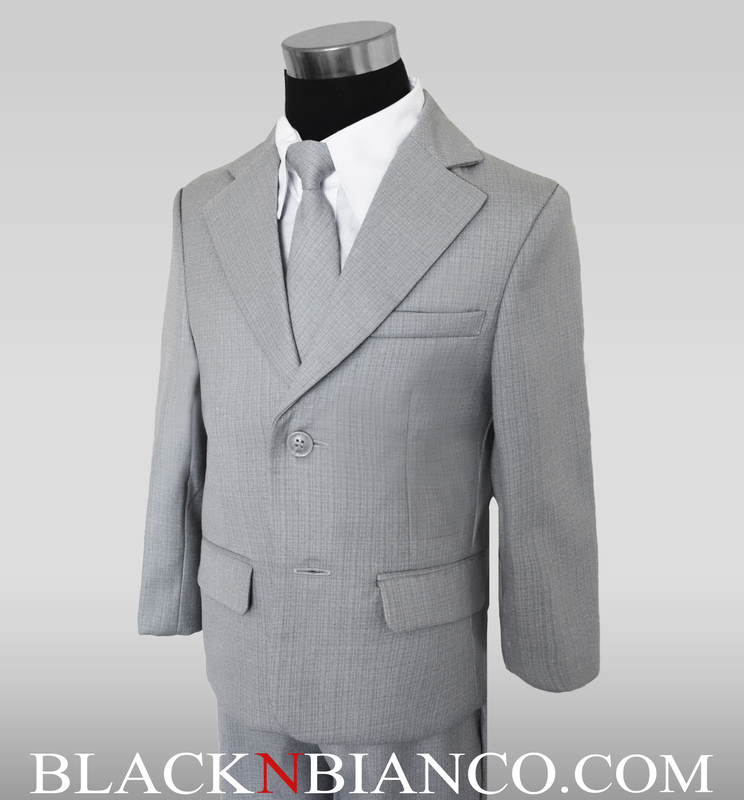 It’s quite a bargain compared to renting a high quality suit at your local tuxedo shop. 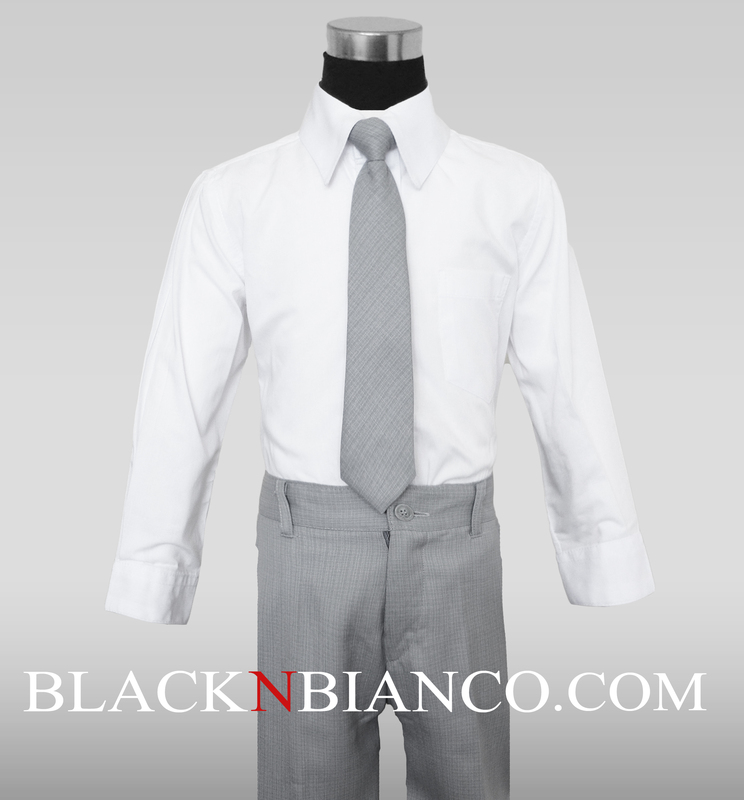 For more boys suits click here.